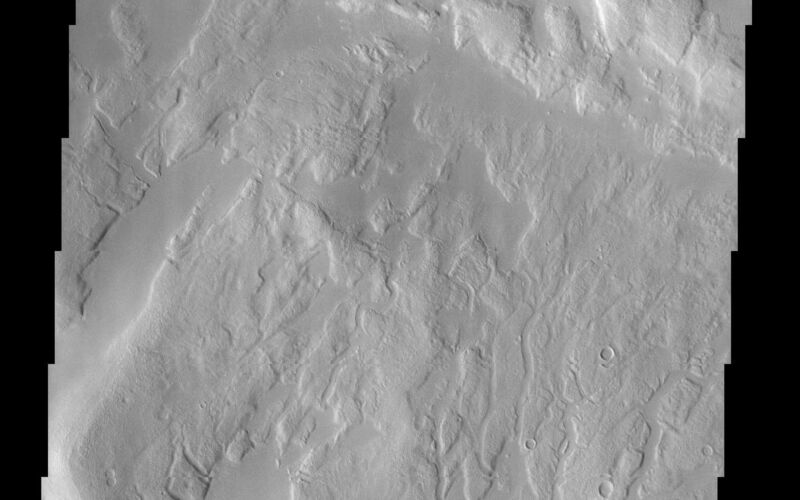 This THEMIS image is in a region of Mars' northern hemisphere called Ismenia Fossae. 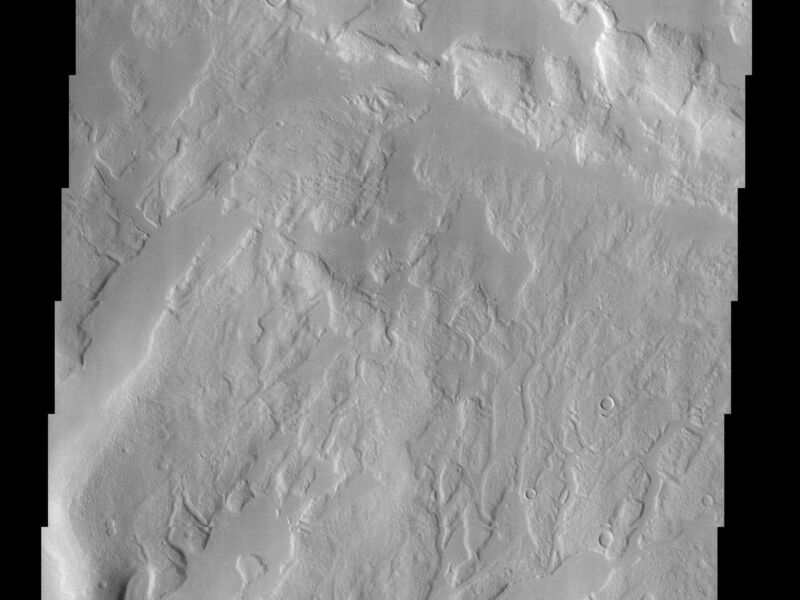 Most of the landforms in this image are the degraded remains of impact crater rim and ejecta from an unnamed crater (75 km diameter) just north of this scene (refer to the context image). The terminus of this ejecta blanket can be seen in the lower third of the image. The hills and other topographic highs of this landscape appear to be mantled. This mantling layer has itself been modified to produce a pitted, knobby surface in places. The presence of water ice in the mantling material is a likely possibility. Also visible in this image are some small degraded craters located primarily in the upper half of this scene.